Like many Americans, my lineage is a mixed bag of European ancestry, but primarily I am of Austrian and Hungarian descent. While my love of coffee may be directly from Vienna, my general distaste for baking leaves the endless bounty of Austrian pastries well outside of my culinary wheelhouse. 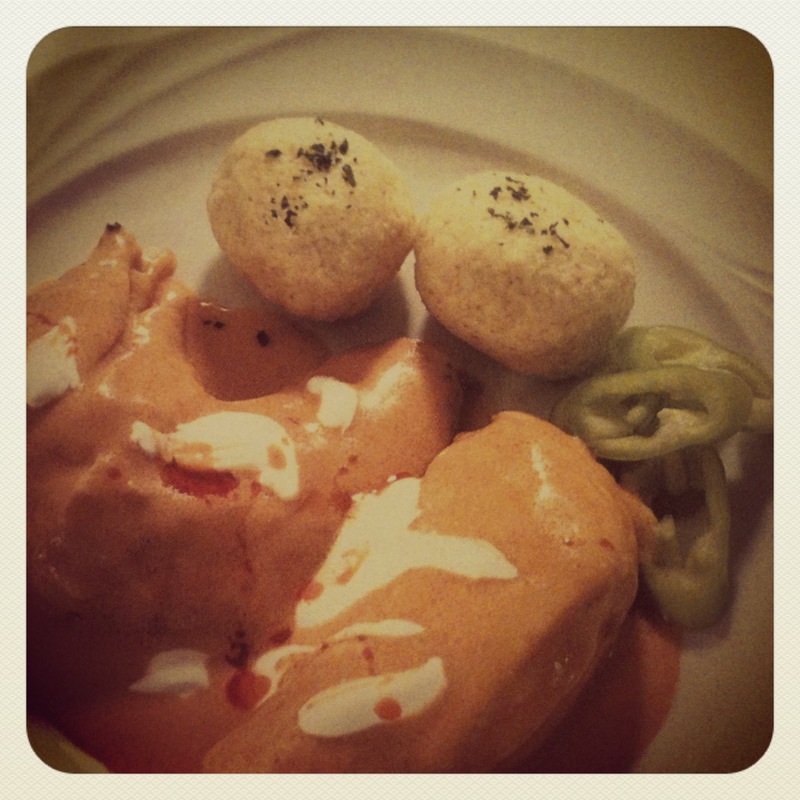 On the other hand, hearty Hungarian entrees are right up my alley. There are a few Hungarian influences present in my cooking (like the Hungarian hot peppers that are the secret weapon in my chili). And, well, the answer to both of those is sadly, no. The flavors I grew up eating have definitely colored my culinary leanings, but I’ve never really learned to make any of the traditional dishes. My grandfather, who was a butcher in Hungary, would be very disappointed that I have not mastered some of these dishes. 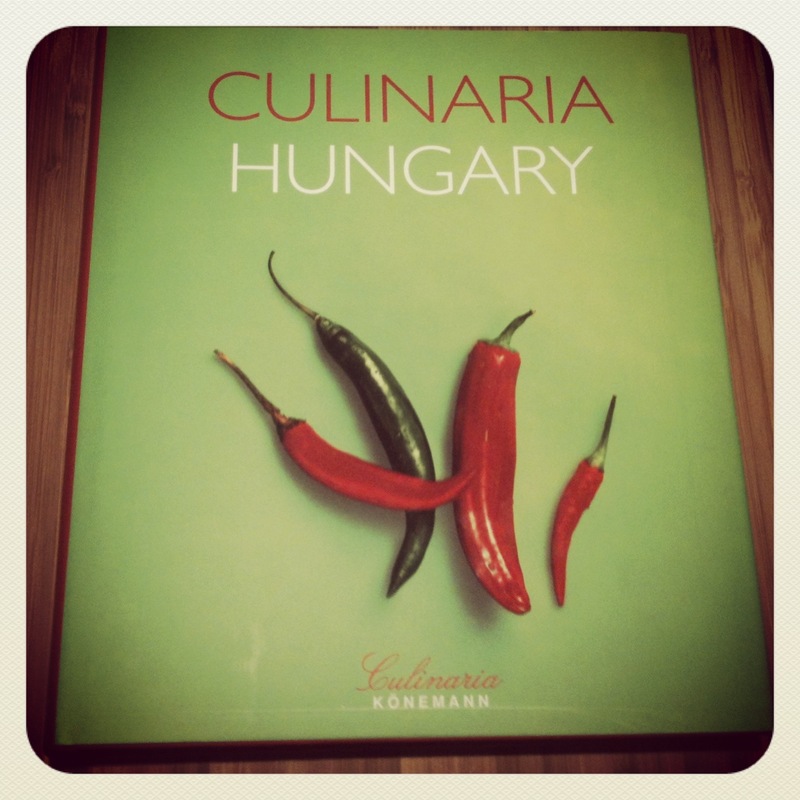 I pulled my Hungarian cookbook off my shelf and started reading it this week. 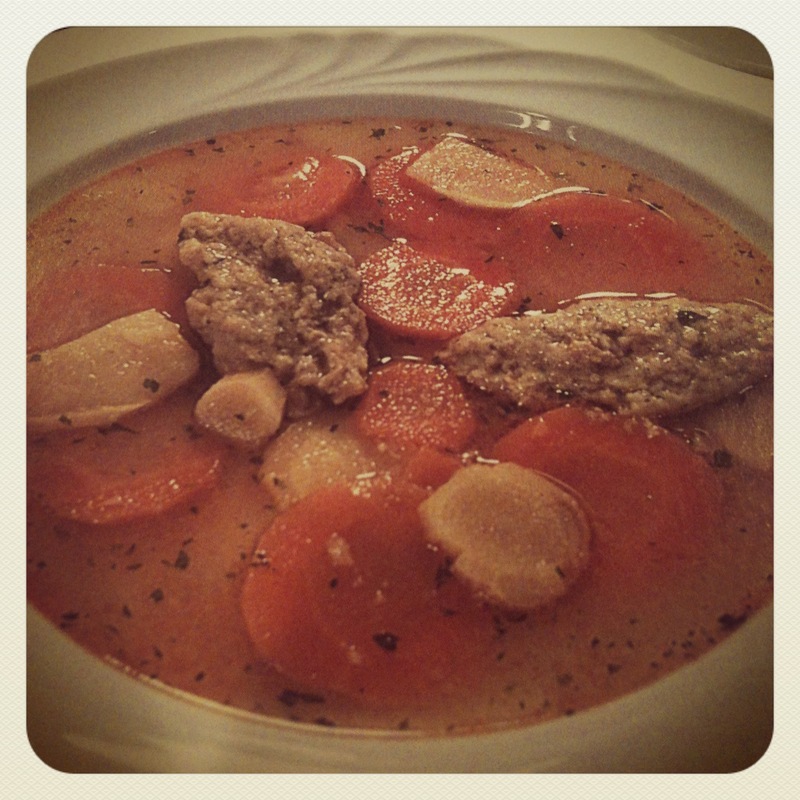 Majgaluska (Liver Dumpling) Soup. I know, getting people to eat liver is a tough sell…but this soup is probably my favorite soup of all time, so even if no one but me ends up making it, I feel compelled to master this recipe. I have no timetable on getting these all put together, and a lot of it will depend on how much tweaking goes into getting it the way I remember it as opposed to the way the recipes are written. 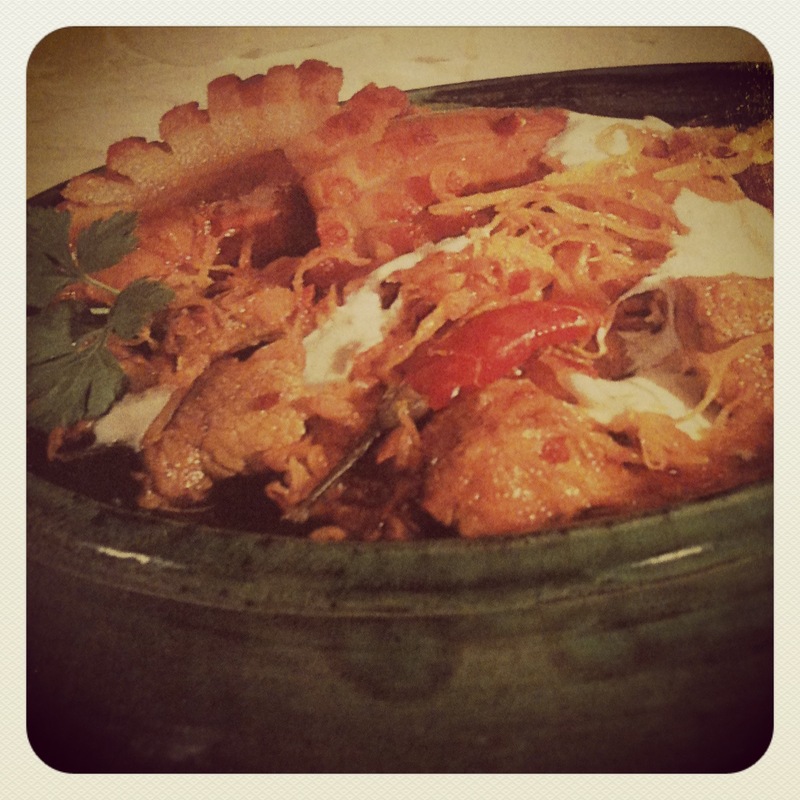 But, as I start to get into some of these recipes, I will definitely post my results and hopefully start passing on some of the Hungarian dishes I love. 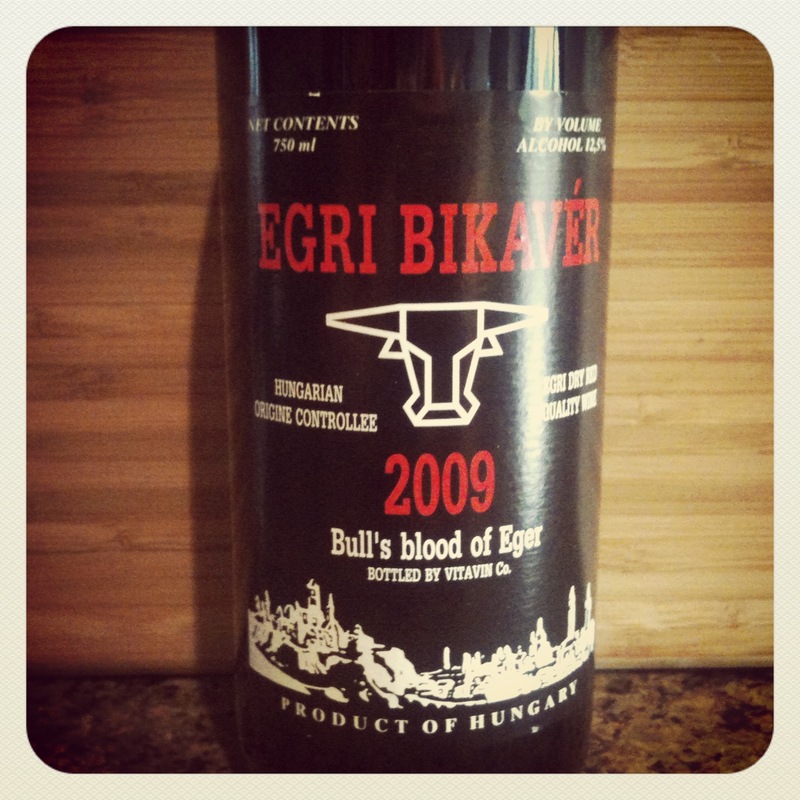 In the meantime, another favorite Hungarian specialty I greatly enjoy is Egri Bikaver. Also known as Bull’s Blood, this is a great full-bodied red table wine. I am not a wine expert, so I won’t go into all the details…for me, a great wine is one that has some big flavors that I enjoy and compliments a wide range of foods. This particular wine goes well with just about anything, especially the dishes pictured above. To sweeten the deal, it’s typically $5 or less and is available just about everywhere I’ve ever purchased wine. Sorry for such a long post without an actual recipe…more to come soon, though. 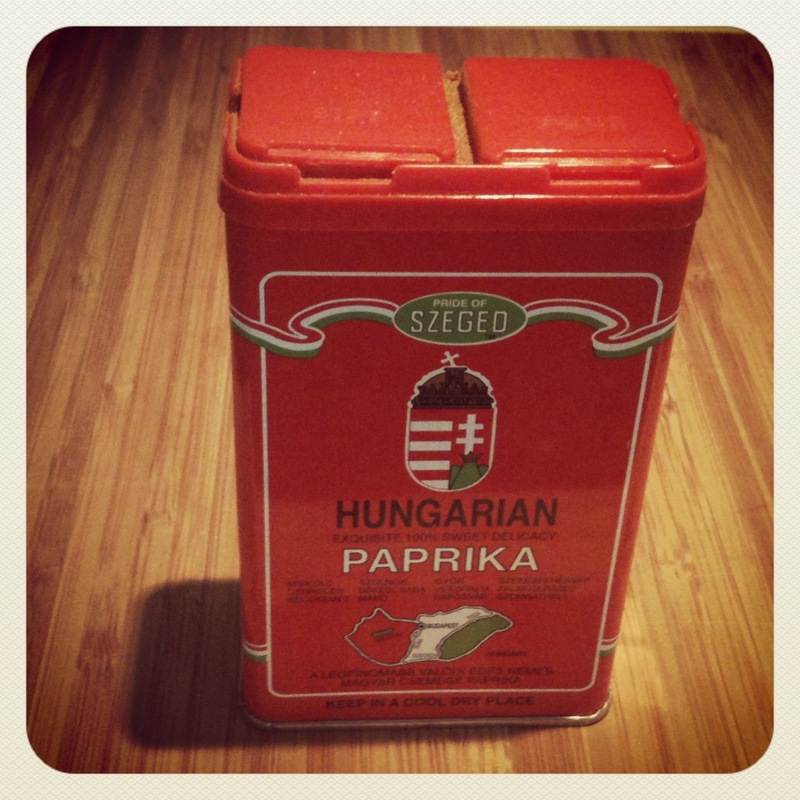 If there are any Hungarian or Austrian dishes you have had that you would like me to try to recreate and post, please leave a comment, and I will do my best to cook it and write it up in an upcoming post! Paprika is staple of my store cupboard. I’ve always got a jar of each – one sweet and one hot. Look forward to seeing more…. Thanks for following my blog. I look forward to your posts! I like that can of paprika!